People usually don’t like talking about their internal fear, their deepest sadness, their fragility. The things that rattle our bones, reach beyond our learned thoughts and talk straight to the soul of our inner 8 year old’s who are afraid of the noise of our parents fighting. People usually don’t like exposing their heart child. Maybe it makes us feel weak. Unready, unsteady, under-cooked. To young perhaps. Immature. To me, it is possibly the one defining characteristic across all forms of man-kind that stirs my unwavering faith in a person. The ability to sing the song of your heart child. To keep singing it. To dance in the rain to it. To invite others to clap along with you. Right smack bang in the middle of an adult world full of rules and poorly designed realities. Funnily enough, I have started realizing recently that it is this young innocent in us, who is far more capable to bear the trials of our lifetimes. It is our heart child who is able to see the core. To identify the evil. To recognise something for what it is, rather than what some clever person has dressed it up to be. To remember the intense awesome of being alive. Not just the intense complexities of living through (and for) the multifarious socio-economical systems we have created. My vote will always lie with a leader who cries and trembles when he speaks out. The humbling acknowledgement that above and beyond all that we have learnt, or will learn, we are all just babies of the universe finding our many multi-coloured feet. Never-the-less, after the hilarity of our usual banter dissolved, we found ourselves reading the ever so important (and glittered) information of “Matisse Hearts Henson” and other tid-bits from my pre-teen years. There was a lot of roaring laughter from some corners of the room and a bit of embarrassment sometimes coming from my general direction. It was all a bit cute. Then something hit me in my jugular. Turns out, when I was 12, I wrote this. Reading this slapped my chest. I couldn’t comprehend how a 12 year-old had conceptualized in 4 sentences, the inner-workings of a woman, with over 10 years of adult life to ‘educate’ and confuse her. Then I remembered that this 12 year old baby girl, was the one who had began stitching all these lessons all together. It was this messy-haired, green-eyed little lion club, who back in the day, had begun writing the music of my life. So in keeping with all things honesty, I will be upfront in saying this. The idea of loneliness still petrifies me. Although. I am not alone. Not ever in fact. I have my aforementioned gaggle of humans constantly around me, rubbing my back, pouring my wine, making me happy. I have a big huge family full of vibrancy and passion, kindness and wisdom. I have puppies. I have a brother who hugs me. I have a phone full of missed calls. I have countries and countries with spare rooms to call mine. I have tattoos of my love for the people in life. I am not alone. But the idea of loneliness still completely petrifies me. I have sat on the edge of circles. I have mimicked people and ideas to try and feel less secluded. I have tried to muster something real out of people who don’t really see me. When I was younger, that exercise mostly took place when I was in the company of the one person I couldn’t convince to adore me unconditionally. Myself. I would move with the motions of those I admired. I would let my adopted personas tell the world I was confident. When in fact I was simply, loud. I didn’t like my thoughts. I figured they were young. Nowadays, since I have wagered a deal with my soul, to be my best friend and stand up for me no matter what, I am less afraid of my own loneliness. I know I can find a home anywhere, in my own humour, with my own pen and paper, in my own hands to rest my tired head on. I guess you could say, I am slowly making a bit of headway with sentence number one of my 12-year old confessions. This still cuts me to bone. I make a lot of decisions, some bad, some stupid, some with good intentions, all based around this phobia. I try to fix the unfixable. I try to befriend the ones who will rip me apart simply because they don’t understand friendship. However, somehow, even writing this, I know I don’t really mind. I don’t even really believe it when I write things like ‘the unfixable.’ I like to think that kind of person doesn’t really exist. I can’t bear the thought of a human, any human, being an island. I have to believe in the possibility that we all belong somewhere and that there won’t always be bedrooms filled with teenage tears due to bullying and isolation. I don’t think this way because I am Mother Teresa or anything close to that. Not even because I think I am any more kind than the next person. Absolutely not. I have had my share of contributing to people’s sadness. I feel this way because I have seen the dark side of the hopeless lonely. I have seen it bear its ugly teeth and rip people clean from the earth. I have seen its devastation. So when I see loneliness now, it makes me nervous. I see it in the eyes of people. I see it on their facebook posts. I still see it on mine sometimes too. I see people being in the middle of their own ocean, with no land to swim to. A kid in a café trying to get the attention of a mother who would rather sit on an IPhone. I saw this scene about a year ago. A little girl just trying to tell a story to her mum. Who wouldn’t listen. She started softly over and over again. The more times it took, the quieter she became. Until finally she was silent. I cried into my cappuccino that day and still remember it to this day. There was nothing that seemed particularly heart-breaking about the situation. There was nothing ‘poor’ about their appearance. Both dressed in immaculate clothing. Sipping organic Eastern-Suburb milk. The envy of the majority of the world. But my heart child figured it out, saw the core, saw what it really was, not what some clever person dressed it up to be. It wasn’t just a rich mother and daughter. It was a girl who was slowly retreating. Until she wouldn’t even belong in her own skin. This frightens me above any monster, any tidal wave, any loaded gun. Somehow we began talking about him being a lone-ranger, liking his space. Not needing anyone. Relishing in routine. He told me he found people to be distractions. I listened to him. Gave him my thoughts. I sung my heart child’s song. I said I worried about his heart too. Yet there we were, on a couch, eye to eye, acknowledging we are just babies of the universe finding our many multi-coloured feet. Like all of you. Like the person sitting next to you as you read this. I certainly have not got it all figured out. Not even close. I still don’t know if I will be able to give whole-heartedly to a marriage. I thought this was something I had developed over the past 10 years of failed love stories. But turns out I had that written in the sand from before I even knew was a relationship was. Go figure! So I still do not have it all worked out by any means. But I do know one thing. For sure. “Love and compassion are necessities, not luxuries. Without them humanity cannot survive.” The Dalai Lama knew it too. Because he said it first. What I believe though is that the person we have to remember to show love and compassion to first and foremost is ourselves. The true us. Our heart child. It’s okay to be a little immature sometimes. Maturity is over-rated. And it doesn’t always achieve what we actually set out to accomplish. Since we have all come this far and I have divulged to you all my big secret, I see no harm in telling you that every night I sleep with a white and pink stuffed unicorn. Named Greggles. I will have a meeting with the President of a country at 4 o’clock, and have Greggles on my lap by 6. This does not make me any less capable than a woman in a suit jacket. This does not make me weak. I have Greggles because I travel for work and I miss home fiercely. It’s that very same ferocity I bring to my grown-up desk when fighting for the very same home. 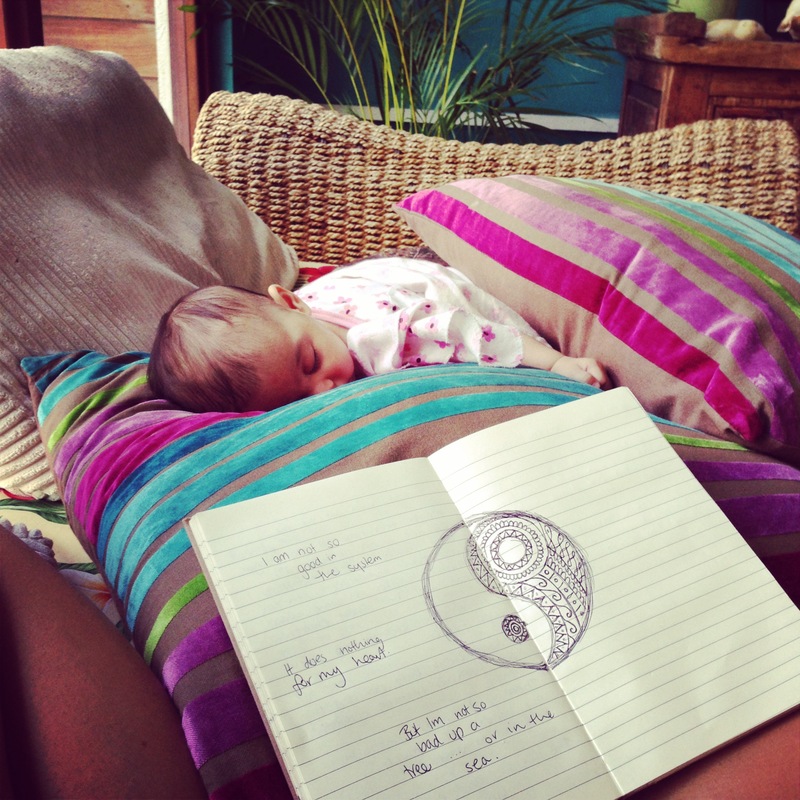 Reading my diary, I wanted to jump back in time and bundle that baby girl up in my arms. I wanted to tell her that she matters more than she could ever dream. That she has a friend on her side, fighting for her, singing for her, believing in her, trusting her and most importantly, still learning from her. We all have little heart children, beating through the noise of this made-up adult world. I beg and pray to a God I do not define, that we learn to listen. If not to each-others, then at least to our own. You matter. Keep singing that song, even if it was written when you were an infant. Because it is the most gorgeous gift you can give our tangled world. Fly the banners of our innocence. Innocence is what can save us. Ignorance is what has got us here. Such a beautiful writing and soul ! The innocence of children. I once taught 11-year-olds. They were perfect. At twelve, it all changes.